The Worcester and Birmingham Canal: Chronicles of the Cut by Revd. Alan White, 2005. 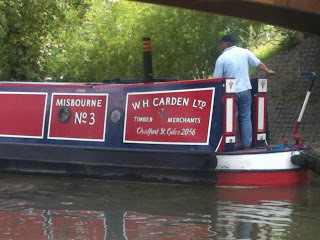 Thomas Carden of Worcester (see my book on that branch) was one of the original promoters of this canal and a member of the committee all through its construction and chairman most of the time. He continued to be actively involved until 1827 at the age of 89. The Anderton Boat Lift by David Carden, Black Dwarf Publications, 2000. See my book "Carden of Tonbridge."